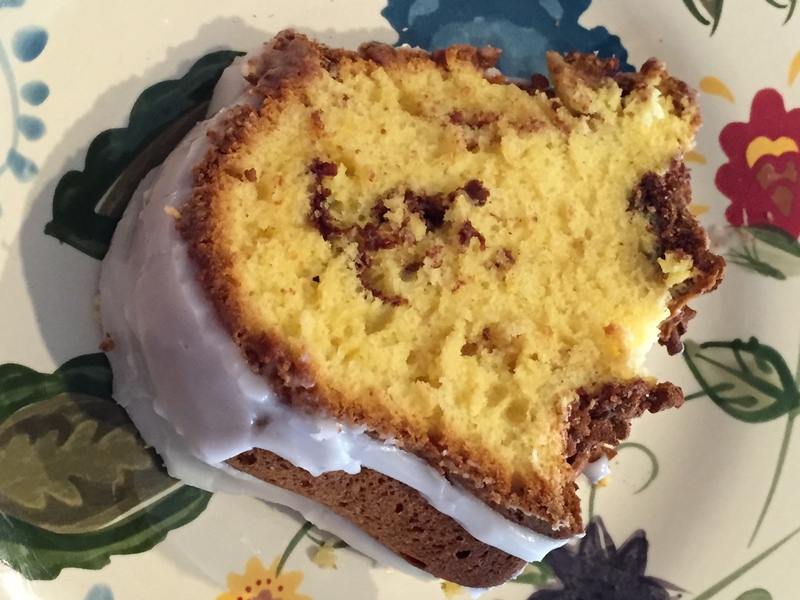 I have memories of eating this coffee cake as a young girl while on vacation visiting my grandparents in the small farm town where my mom grew up. Even though my mom was no longer Catholic, ‘when in your childhood home, follow the childhood ways’ so we would attend mass on Sunday morning and then cross the street to have brunch at my great aunts’ house where they had all the good stuff, including this. Grease a bundt pan and set aside. Preheat oven to 350 degrees. In a stand up mixer, place all cake ingredients and beat on high for 10 minutes. Pour half of the batter into the prepared pan and sprinkle half of the topping evenly over the batter. Add remaining batter and sprinkle remaining topping over the batter. Cut through with a butter knife to distribute evenly. Bake for 50 – 55 minutes. Drizzle with a powdered sugar glaze, if desired. This entry was posted in Breakfast, Cake. Bookmark the permalink.